I do not celebrate Christmas. This is not news to anyone that has known me for some time but, because I move around a lot, there are some people I’m currently close with who have not known me for some time. This message is for you. I haven’t celebrated Xmas for a number of years now. I used to be quite (read: very) soap-boxy about my hatred of all things yuletide but throughout the years that fanaticism (like most of my fanaticism) has relaxed to more of a dulled disdain. Embracing the holiday iconography perhaps more than peeps intended me to for an Xmas KitKat party in Köln. There are facets of holiday celebration I’m more than happy to partake in; the parties and get-togethers and the like. I like spending time with people I like so, really, whatever the excuse – boom hells yeah lets go. I will not decorate. I feel for the Earth, poor struggling whelp that she is. It does not bring me joy to string sparkly reminders of our diminishing rainforests from one corner of the room to the other. 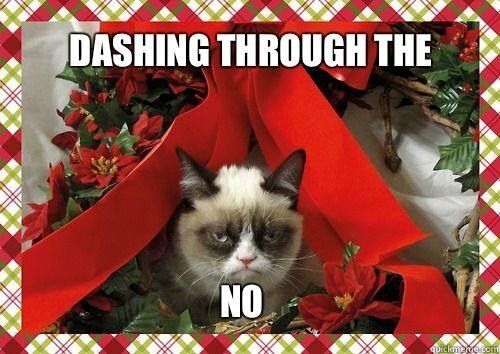 I don’t do carols. They are terrible and make me want to kill myself. Or at least stab myself in the ears. But above all else – I don’t do gifts. This is not exclusive to Xmas. I do not do gifts for any calendar occasion. I do do gifts, occasionally. . . just not when I’m supposed to. India is one of the more inexpensive countries on the backpacker circuit. Depending on your habits, tastes and where you travel, you can live pretty effing cheaply in this country for as long as your visa will allow. I set my own budget at a projected $1,250 CAD dollars per month (all costs in this section will be listed in Canadian dollars, as this is the currency in which I do my finances), and this wasn’t a difficult goal to stick to. It was in fact generous (as any budget you’re setting for yourself should be to allow for wiggle room and emergencies). Over the course of 3 months, my total spending in India came to a grand total of $4,350.16. But this includes the approximately $1600.00 purchase of Hrithik, my Royal Enfield motorcycle, from which I regained around $1200.00 when I sold him in Darjeeling. Given this, my actual loss of finance was more like $3,150.16, or about $1,050.00 per month. No doubt, India is a challenging country to navigate. With around 350 different languages and dialects, a swarm of different religions (and sects of religions, and contrasting opinions on how to practice said religions) and a seemingly different culture every time you switch neighborhood, let alone state, it’s hard to come to any solid conclusions of how to do. . .well, anything really. More than anything else, India is a country of contrasts. If you go looking for the wide-eyed street kids in rags and robed babas with painted faces that occupy so many of our media-fueled impressions of India, you’re sure to find them. You’ll find the insistent street vendors and the cows occupying city streets and the painted rickshaws driving like madmen. But if you look a bit harder you’ll also find a country pulling itself into the modern day, and you’ll find an educated youth, hungry for knowledge of the world outside their own and eager to converse with you about it. My (I like to think) long-awaited ‘A Vagabond’s Guide to Travel in India’ series is all written and just awaiting upload. And, as a primer, today’s post is a guest post on the most vital aspect of any communication in India – The Indian head tilt, also known as the Indian head wobble. I would have struggled to sum up what the gesture indicates, but Arthur, who originally wrote the piece for The Listserve lottery, has done a fantastic job. I inquired with him as to whether he minded my passing on his brilliant summation to a few more people, and he happily agreed. You just landed in India. You’re a bit stressed: it’s absolutely normal. But let me just tell you a simple thing, and everything will go just fine. In a matter of days, the Indian in you will be fully awakened.